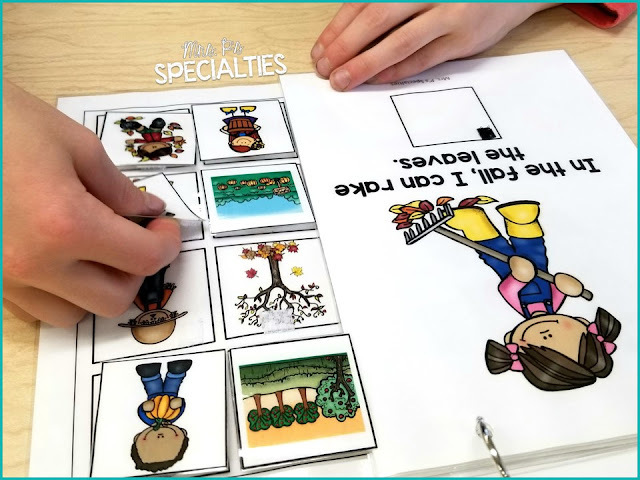 10 Reasons To Use Adapted Interactive Books In Special Education Classrooms | Mrs. P's Specialties! 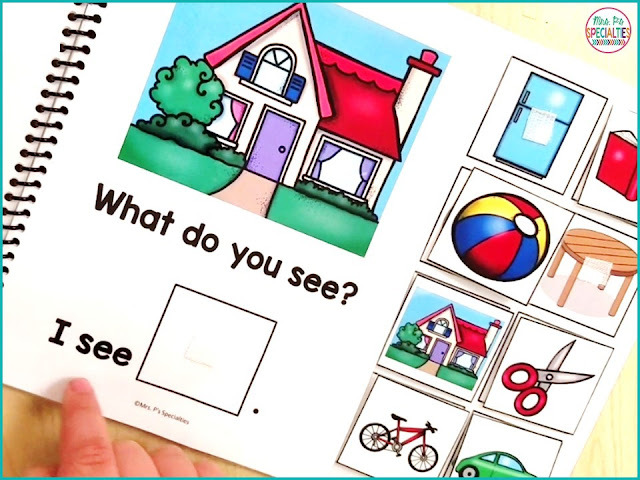 Using adapted interactive books in your special education classroom can have huge benefits for your students. They can create the essential foundation skills for future literacy skills. 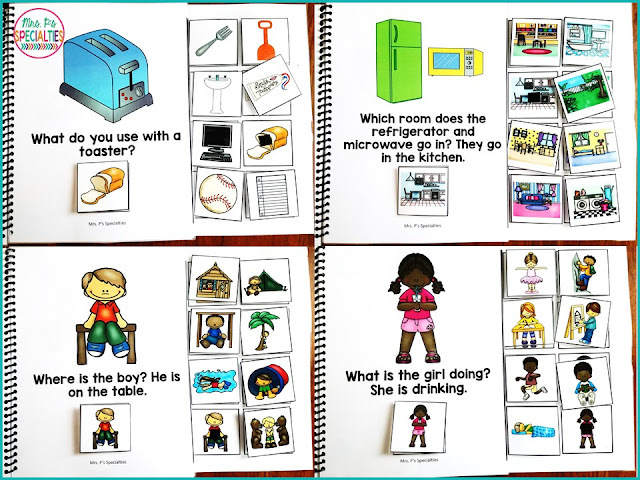 Adapted interactive books will help your address literacy IEP goals and objectives and those that address behavior. 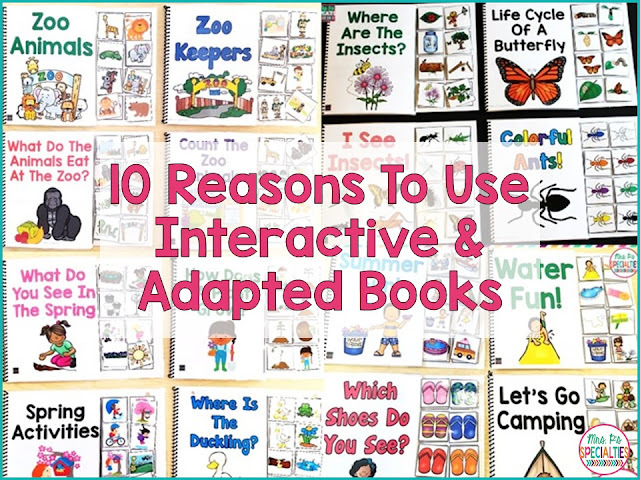 In this blog post we will explore 10 reasons why you need to be using adapted interactive books in your classroom. Reading stamina is the amount of time the student can maintain focus on reading or interacting with text. As you know, this can be very challenging for the students in our classrooms. Interactive books allow for many opportunities to engage or interact with the text. When students are continuously pointing, labeling, moving pictures, etc. they get distracted less. That leads to more on task behavior and attention. Once students are enjoying the adapted interactive books, slowly begin adding in longer books or more than one book. You might also begin using visuals to have students actively working towards the goal of increased stamina. For example, you could use a stopwatch to time how long the student was able to maintain attention with the book and then graph that number. Encourage students to try and "beat" their last time. Fluency in reading needs to be practiced. That means our students need to be be practicing more and more. Through this repetition, students will begin identifying common sight words quicker and quicker. This automatic identification will also help students feel more confident and successful in reading... which leads to better stamina! Weak vocabulary and language skills can often be a barrier between students and higher academics and life skills. We need to constantly be working to build up our students vocabulary and flexibility with language. 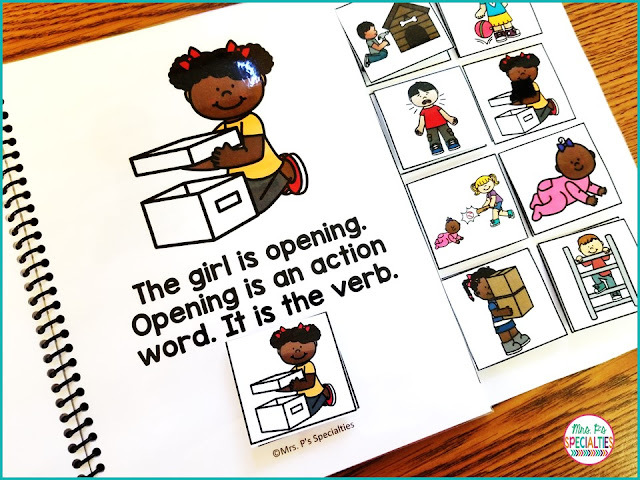 Adapted and interactive books are perfect for doing that. Interactive books pair the words with visuals and capture students' attention. Interactive books can also be used to introduce new reading skills. For example, the interactive book below is the one we use to introduce our lesson on verbs. Adapted interactive books are wonderful for preparing students for fire drills, holidays, going out into the community, etc. Using these books prior to the event or holiday will help prepare your students for what they will hear, see, feel as well as give the vocabulary they will need for the event or holiday. 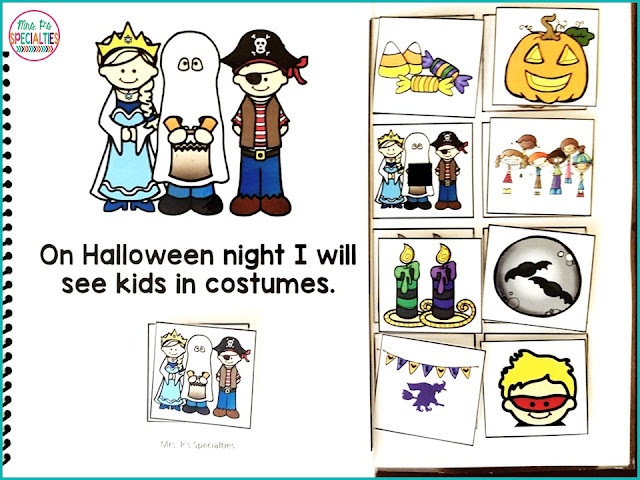 Here is an example of a Halloween interactive book that helps prepare students for trick or treating. 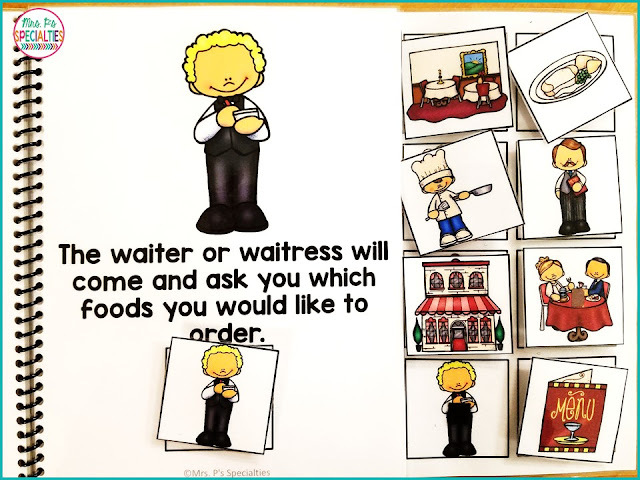 Here is an example from the book we use to prepare students for going to a restaurant. Sequencing is an important math and life skill. We need to be able to sequence and follow sequential steps for many life skills such as cooking. 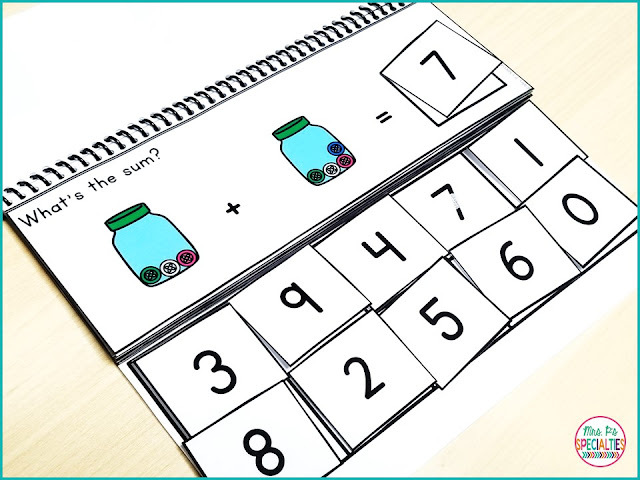 Addition and Subtraction interactive books are not only good for practicing and reinforcing math skills, they are also good to use in task boxes. Here is an example from our Everyday Math Books Set. 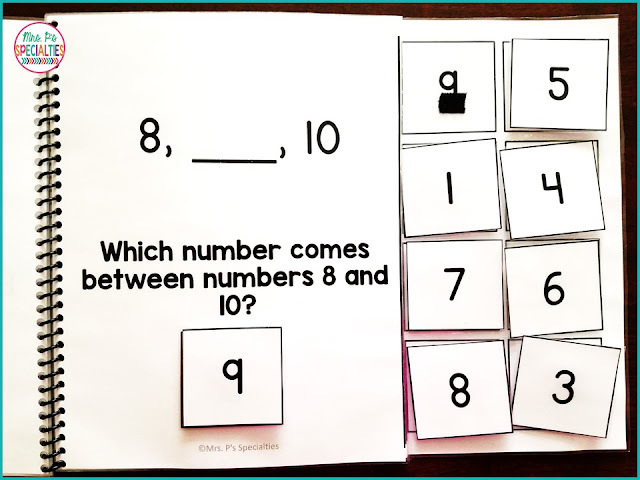 Counting is one of those skills that students need to do over and over to learn and generalize the skill. Counting should be practiced across counting items, counting people, counting in books, etc. 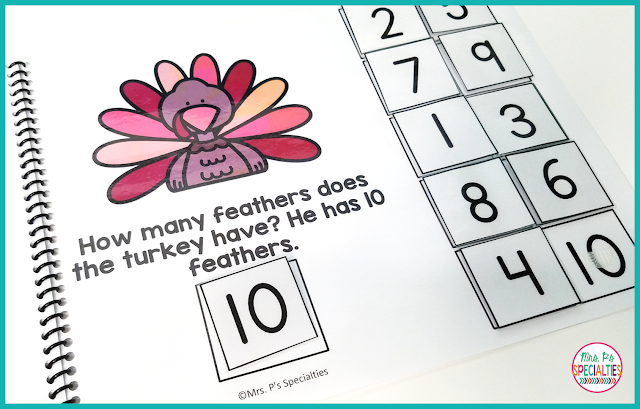 Here is an example of one of the Thanksgiving math books we use. 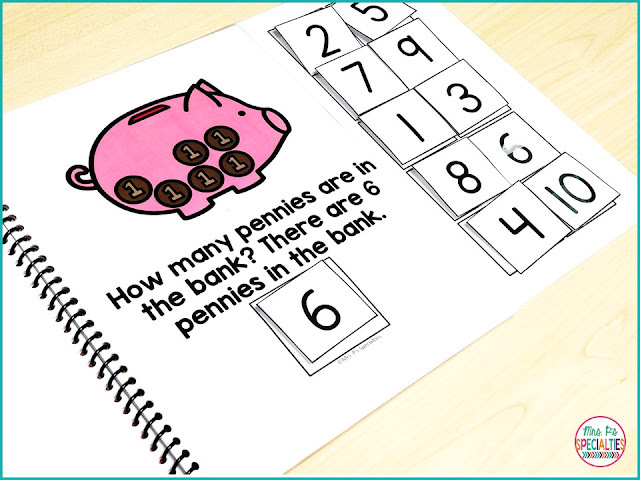 Here is another example from our Everyday Math Interactive Books set. 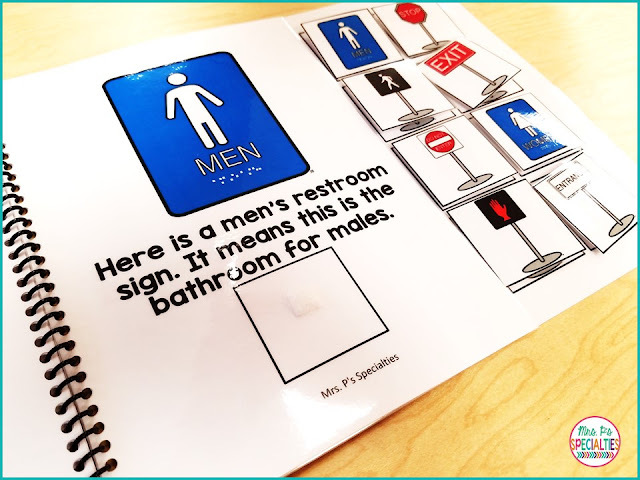 Adapted interactive books are great at building background knowledge about life skills and the community. 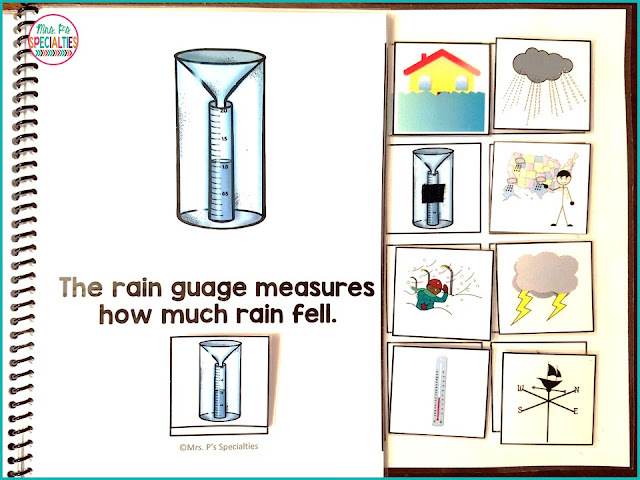 Here is an example from our community skills interactive books. Answering WH questions can be very challenging for our students. They often need many opportunities to practice them and to generalize the skill. Students can become resistant to this practice... basic concepts adapted interactive books are the perfect solution! The supports and hands on components of the books often lead to success for students. Use commenting interactive and adapted books to expand basic concepts including categories.... what is included in a category and which one doesn't belong. 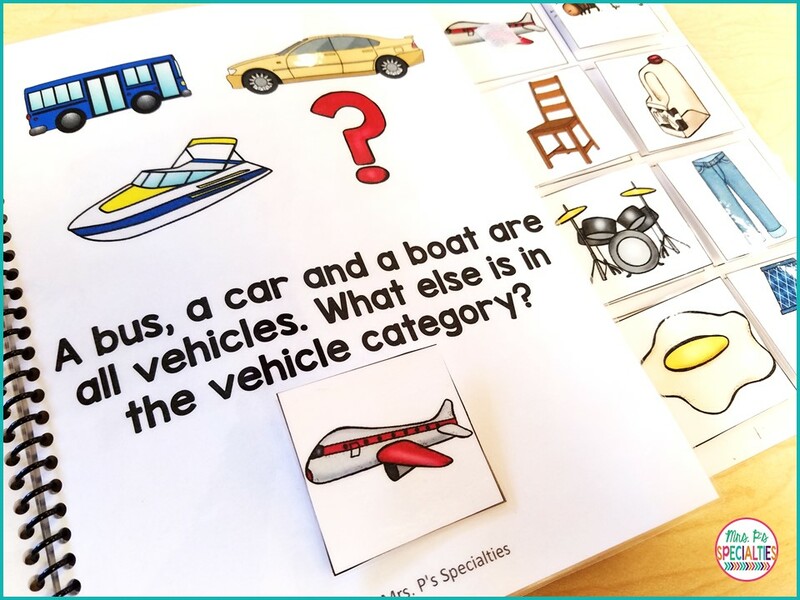 Teaching about categories helps students with word retrieval and descriptive language. 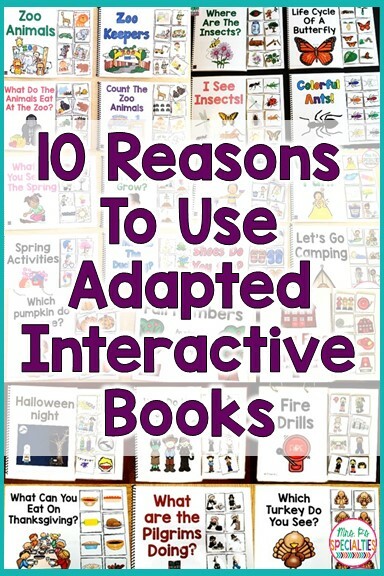 Want to make sure you are getting the most benefit out of your interactive books? Click the links below for ideas on how to use them. Click HERE to check out some of my favorite things to prep our interactive books.